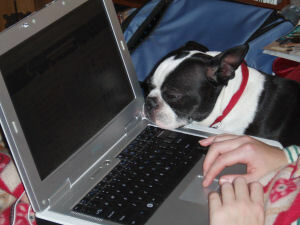 Looking for info about Kathi MacNaughton, Make-Your-Own-Website-Coach.com and Site Build It? Great, you can learn all about Kathi and the other stuff right here! Hi there! My name is Kathi MacNaughton and I am the owner of this website. Since you're here on this page, I'm guessing you wanted to know a little more about who is the real person behind this site... or even if there is a real person. So many sites these days seem to be built by robots, don't they? No personality or humanity to them at all. But that's not me and it's not what you'll find on any of my websites. Yes, I have more than this one... more than a dozen, actually... and I've done all the work on all of them! Oh gosh... I've written so many of these pages over the years and they're each a bit different, reflecting where I was at the time in my life development (I've been doing this website thing for more than 10 years now). I'm sure this one'll be a bit different than the others too. On the personal side, I am a woman in midlife, married for the second time (this time to the love of my life), with two grown daughters who live in Austin, Texas, two stepsons on the east coast and three, make that four, furry children in my "second litter." Oh yes, and an elderly mother with COPD living with us too... oh, and my first grandchild on the way in Texas! I have a nursing degree and background, having worked in hospitals and home health care for over 20 years. But in the 90s, computers and then the World Wide Web took hold of me... and became my most consuming passion. When I worked in healthcare, I was a nurse, a nurse manager, did recruitment and hiring of both professional and paraprofessional staff, was in charge of policy development, accreditation and ran the clinical services at a home health agency. I also conceptualized several ground-breaking clinical specialty programs. Towards the end of that career run, I developed a training program for clinical software, which I attempted to implement with unwilling nurses and physical therapists. I loved my job in home care for many years, but all good things must come to an end, and so it did. I dabbled in technical writing and support, then did some clinical education writing for another company and as a freelancer, but always through the years... I dreamed of having my own business. I even tried a couple... Avon beauty products... SMC mail order... legal nurse consulting... freelance writing... none were the right fit. And then... my life changed. By the late 90s, I was divorced with two growing children and in career transition. I was actively searching for a new direction for my life. I'd gotten excited about the idea of an online home business through the teachings of Cory Rudl, but it took quite a bit of money to get started with his system, which I didn't have as a single mom with soon-to-be college-bound daughters. Then, I read a series of ebooks by a retired emergency room doctor, Dr. Ken Evoy, who had a company called Sitesell, in Quebec, Canada. The first book was called Make Your Site Sell, and told how you could have a profitable website, following their step-by-step blueprint. Dr. Ken followed that first book up quickly with others on writing for the web, selling through auctions and pricing your products correctly... among others. I bought and devoured them all. Now, I was really getting excited! Then, in the year 2000, Dr. Ken rolled out a new product... a platform called Site Build It that would actually give you all the tools you needed to build a site that would sell, as he'd put it in his original book. I didn't have to think for a second about whether I'd buy it... I jumped in, hook, line and sinker! I built my first site on the worst possible niche topic... because it is one that is SO competitive... internet marketing... not to mention the fact that I hardly knew what I was talking about back then.. It's called HomeSweetBiz.com and I still have it, though it's in the midst of a major redo, after 10 years. I know a lot more now... on a lot of fronts, so I know I can make it succeed at last, if I just put my mind to it. Although Site Build It has always been great, it's better now than it started out. For one thing, there's a more comprehensive manual and better tools. As I said, I didn't choose too wisely with my first SBI site and I chose a couple of other regrettable topics after that too, that eventually died on the vine. 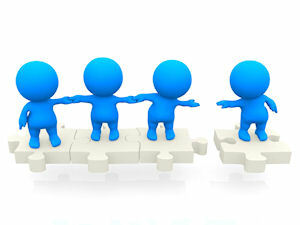 In the spring of 2004, I found out about a mentoring program and they used Site Build It to build the sites! It cost quite a bit of money, but I scraped enough together and enrolled. Great decision! They helped me finally "get" Site Build It and I built my Powerful-Sample-Resume-Formats.com website. I was so successful that I became a mentor for the program after a few months. Eventually the program faded away, but I got to take my website with me, and it has become my biggest moneymaker. I now knew how to build a successful website and meanwhile, SBI was getting better all the time... a much better manual, which they call the Action Guide, including a video version for people who hate to read, brand new member forums, which are the greatest mastermind group you'll ever find, and an ongoing array of ever more powerful tools. If you came here from my home page, you may have seen me mention a website called SBI-Website-Builder.com. I built that site when the Sitesell company certified me as one of their "SBI webmasters", an independent consulting group, who SBI users could hire to do certain tasks or to mentor them. This was a natural extension of what I'd been doing for the other mentoring program, and I really enjoyed it. 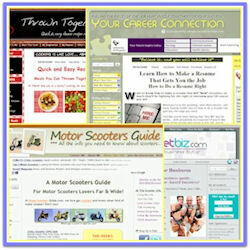 I helped quite a few people build their own successful Site Build it websites. Eventually Sitesell decided to take their consulting program in-house. I could have been part of it, but by then I had a number of my own websites in process that I wanted to focus more on, so we parted ways. And that's why I'm morphing my original consultant website into this tutorial site. If you want someone else to build a website for you, though, or you're just in search of some coaching, I can highly recommend their in-house services. They're affordable... and super high quality. Definitely worth it, if you don't want to do it all yourself. These days, I couldn't be happier! 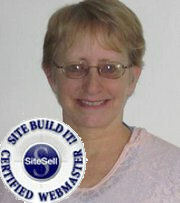 I have 10 of my own Site Build It-powered websites, and I also manage one originally built by my husband. I can't stop building new ones! (I also have a few non-SBI websites.) I truly LOVE what I do... I wake up every morning just itching to get to work on my websites... and believe me, with this many, there is ALWAYS something to do! I support myself with the earnings from my website. I even supported both my husband and me when he took a year off from his teaching career due to burnout. I'm not saying it was easy, but we made it. Even when I don't work on my websites, because of caregiving duties or whatnot, they keep making money. I'm not going to lie... I'm far from rich... or even comfortable... YET. But I'm confident that one day soon, it'll happen. I feel like I'm right on the verge of that snowball. Heck, why not? Lots of other SBIers have done it! And I know I'm on the right track. So, after more than 10 years and more than a dozen Site Build It websites, you might say I know a little bit about how to build a successful website. 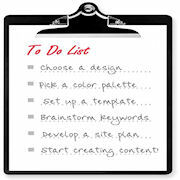 Site Build It has great tools and they provide REAMS of information about EVERY topic. But sometimes they provide so much, you get lost in the doing... or the words. So I'm building this website to teach you how to do some of the tasks associated with building a website, step-by-step... and more simply. I've been told I'm good at drilling down and explaining complicated things in a way people can understand. I hope you find that to be true too. Well, more Site Build It websites, definitely! I buy every Christmas into their 2-for-1 special, so 2 new sites every year for me. But also, I look forward to financial freedom... and lots of great new friends that I make through all of my SBI websites. Hope you become one of them! 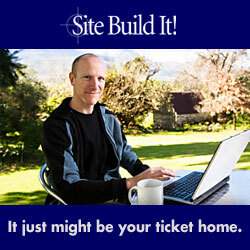 What is Site Build It really? What kind of website can you build with SBI?